Researchers have managed to discover some of the earliest galaxies formed in our Universe. At over 13 billion years old, these galaxies could hold many clues as to how our Universe was formed. Researchers have discovered some of the earliest galaxies from the cosmic dark ages of our universe. According to astronomers from the Durham and Harvard universities, the earliest galaxies they found surrounding our Milky Way galaxy were over 13 billion years old. These clusters of stars that appear as faint objects from a distance were reportedly formed about a hundred million years after the Big Bang. The said galaxies contain some of the primordial stars that lit the universe billions of years ago. “Finding some of the very first galaxies that formed in our universe orbiting in the Milky Way’s own backyard is the astronomical equivalent of finding the remains of the first humans that inhabited the Earth,” Professor Carlos Frenk, Durham University’s Institute for Computational Cosmology Director, said. In the study published by Professor Frenk and his team in the Astrophysical Journal, they described how two of the satellite galaxy populations from their discovery could shed some light into the origins of the universe. According to their study, the first hydrogen atoms were first created when the universe was about 380,000 years old. The atoms then gathered into clouds, gradually cooling and settling into small clumps of dark matter. The astronomers referred to this cooling period as the cosmic dark ages which lasted for around 100 million years. With the passing of time, stars were born from the gas that cooled within the clouds, eventually forming the oldest galaxies in the history of our universe. 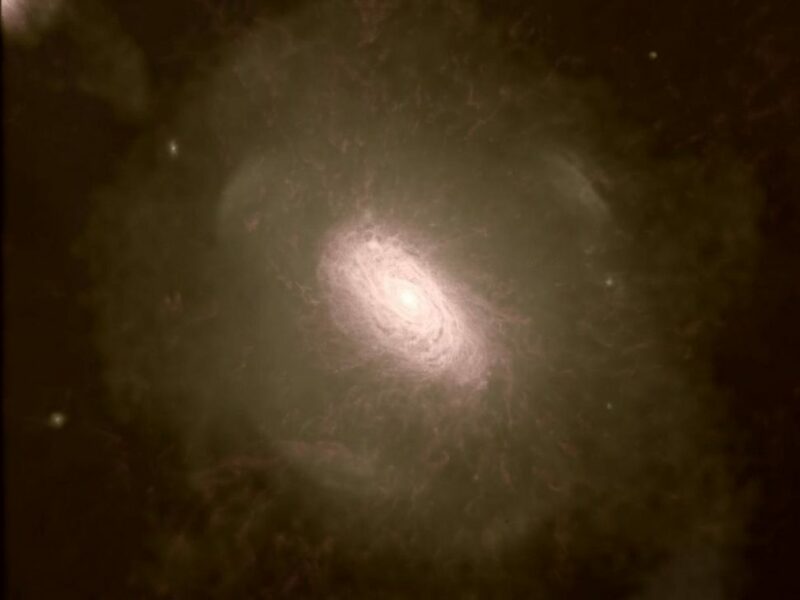 The data collected by the researchers from the faintly visible galaxies reportedly matches with a model galaxy formation they created. Because of this, Frenk and his colleagues were able to estimate the formation times of the star clusters. “A nice aspect of this work is that it highlights the complementarity between the predictions of a theoretical model and real data,” Dr. Sownak Bose, lead author of the study from the Harvard-Smithsonian Centre for Astrophysics, said. Do you think the use of computer models to discover these galaxies will soon become a more prevalent method of research in astronomy?